This is a versatile and practical snap-on protective case designed for 10.5″ iPad Pro. The iPad Pro case measures 10.6 x 7.6 x 0.8 inches and weighs 11 ounces. As we can see from the images, case has a low-profile and rugged appearance design along with six optional colors to meet different personal preferences. 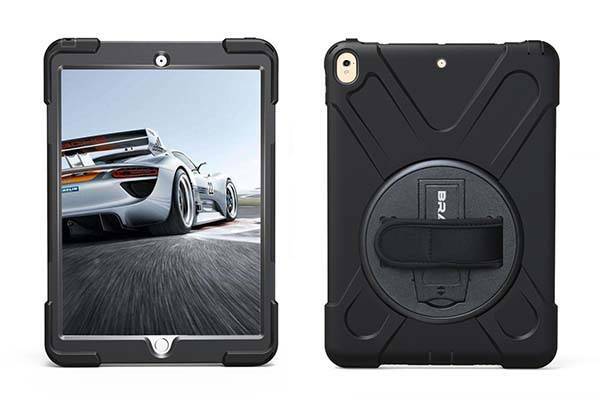 The 10.5″ iPad Pro case features a strong and durable three-layer construction that consists of a hard polycarbonate inner shell, a soft silicone outer shell and a front panel in order to protect your iPad from shocks, bumps and scratches, and the front panel has no integrated screen protector to keel the original touch feel, while the raised corners provides enhanced protection for the screen. 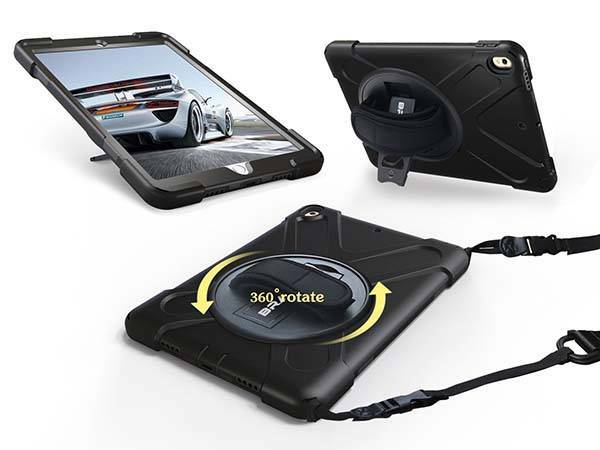 Furthermore, a foldable iPad stand has been built on the back for handsfree viewing and comfortable typing experience, and the hand strap is arranged above the stand so you can firmly hold the 10.5″ tablet with one hand, and the rotatable design lets you flexibly use it. 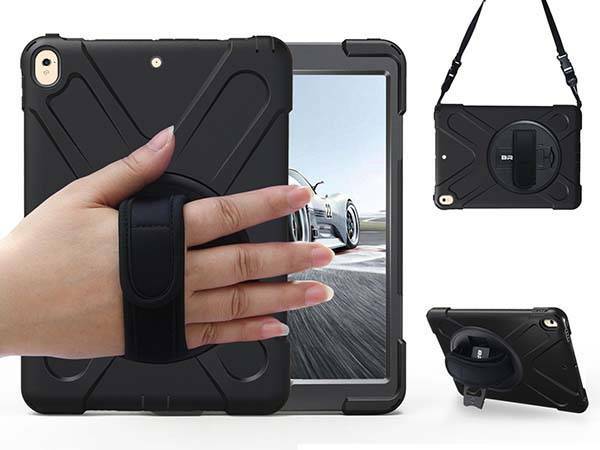 Moreover, the iPad Pro case also contains a detachable shoulder strap, and you can use the strap to mount your tablet to your car headrest for back seat entertainment. The 10.5″ iPad Pro case is priced at $23.99 USD. If you’re interested, jump to here for its more details.